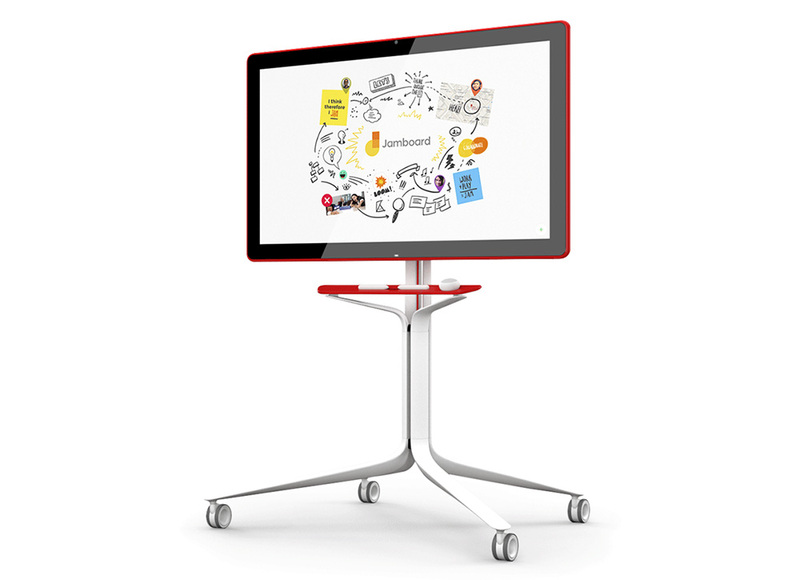 Back in October of last year, Google introduced a product called Jamboard that we mostly ignored because of its ridiculous price and the fact that it was an invite-only, early adopter thing for companies who need super fancy collaboration tools. Well, today, it’s available for all the business big dogs in the building to consider buying. Why you would want Jamboard and what is it, you ask? Think of Jamboard as the ultimate whiteboard that your crappy conference room might have, except its not a whiteboard – it’s a cloud-powered 55-inch 4K tablet. Seriously, watch the video above and you’ll get it. With Jamboard, you have a 55-inch 4K display with 120Hz touch scan and 60Hz refresh rate that allows for 16 simultaneous touch points. There are Type-C and HDMI ports, 802.11ac WiFi, NFC, Gigabyte ethernet, Google Cast, wide angle camera, and speakers and microphones on board. You also get a fancy eraser, couple of passive stylus pens that look like big fun pieces of chalk, and a microfiber cloth to wipe it down. It comes in red, blue, and gray colorways. 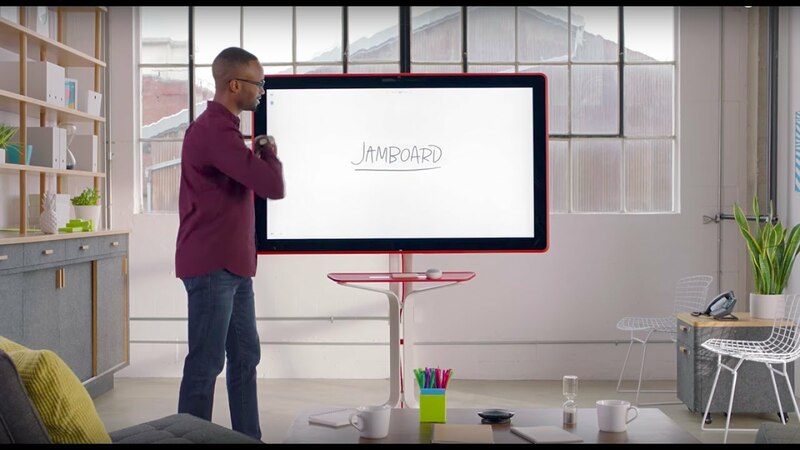 Jamboard allows people in the same room to collaborate via a giant touch screen, but its cloud connectivity stores all of those happenings automatically in the cloud, while also letting remote users chime in via tablet or smartphone. You can crop web pages and include them, hand-write items, toss in stickers and sticky notes, insert Google Docs and images, etc. It actually looks pretty sweet. Of course, the price here is going to be the make-or-break piece of this, right? Yeah, so about that. Google Jamboard starts at $5,000 for the big 55-inch 4K monitor only. If you want a fancy wheeled stand to go with it, that’ll cost you another $1,200 if you buy one before 9/30/17 ($1,349 after). That’s not all, though. There is a subscription that runs $300 per year if you sign-up before 9/30/17 ($600 after) and you’ll have to have a G Suite account that also costs your company cash. So just to get into the Jamboard for a full year, you are looking at a $6,500 investment at minimum. Cool! Who wants one, or five? You can buy one right here. Facebook Rolling Out "Live Chat With Friends" and "Live With"